If you’ve always been wondering what’s the longest river in the world? Well, we’re here to help. Here’s a comprehensive list of the all the longest rivers in the world including the longest of them all, the Nile River. 2. Amazon River, South America – 6,400 km (3,976 miles). Its the second longest river in the world and is by far the largest by water flow with an average discharge greater than the next seven largest rivers combined. 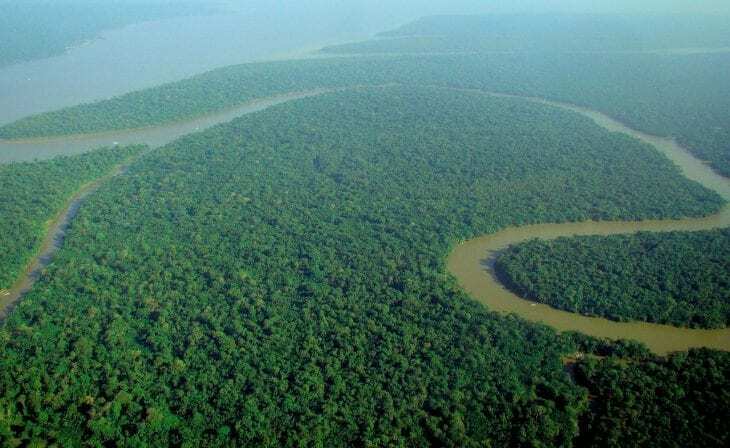 The Amazon flows in the following countries: Brazil, Peru, Bolivia, Colombia, Ecuador, Venezuela, Guyana. 5. Yenisei – Angara – Selenge, Asia – 5,539km (3,445 miles). Flows mainly in Russia (97%) and the rest in Mongolia. The largest river system flowing to the Arctic Ocean. Rising in Mongolia, it follows into Russia and drains in the Kara Sea. 6. Yellow River, China – 5,464km (3,395 miles) Also known as Huang He, it is the second-longest river in Asia after the Yangtze. 7. Ob – Irtysh, Asia – 5,410km (3,364 miles), It flows in the following countries: Russia, Kazakhstan, China, and Mongolia. 8. Paraná – Río de la Plata, South America – 4,880km (3,030 miles). Flows in Brazil, Argentina, Paraguay, Bolivia and Uruguay. 9. Congo – Chambeshi, Africa – 4,700km (2,922 miles) – The world’s deepest river with measured depths in excess of 220 m (720 ft). It is the third largest river in the world by volume of water discharged. 10. Amur – Argun, Asia – 4,444km (2,763 miles). The river forms the border between the Russian Far East and Northeastern China. Copyright © 2018. 10MostToday.com. All Rights Reserved.